As an IBM Global Entrepreneur Partner, Agnes Intelligence is building the next generation of American automation. In addition to Watson’s incredible suite of advanced analytics, machine learning, and AI tools, Agnes Intelligence benefits from IBM's exclusive technical expertise, business mentorship, and go-to-market support offerings. We are proud to be active participants in IBM’s global community. Agnes Intelligence is a proud member of the MongoDB Startup Accelerator. 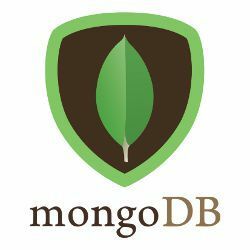 When Agnes Intelligence needed a NoSQL database capable of blazing-fast recall of large data files across multiple dimensions, we found the perfect tool at MongoDB. Agnes Intelligence has partnered with Eastern Foundry, a tech incubator that focuses on military, defense, and intelligence applications. Joe Leo and his team of brilliant developers at Def Method collaborate closely with Agnes Intelligence, helping us bring cutting-edge AI solutions to reality. Joe was an early believer in our mission. He deserves his reputation as the best friend a startup can have.